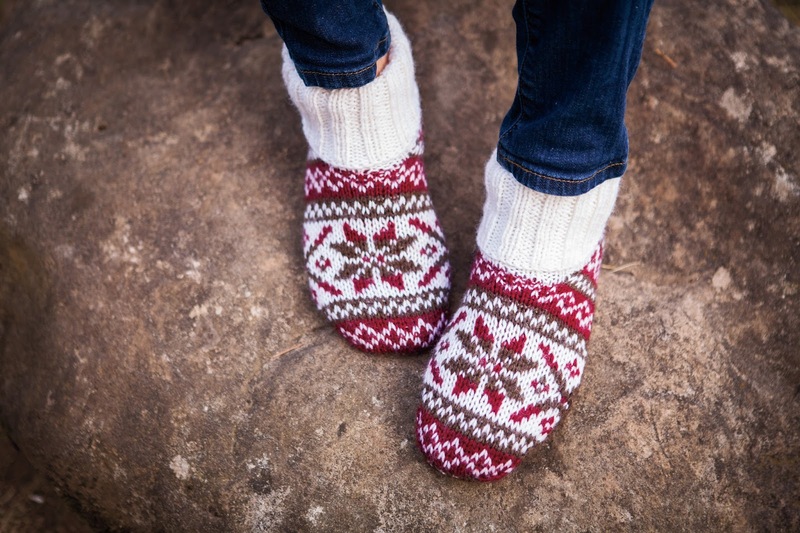 Here is my latest pattern! 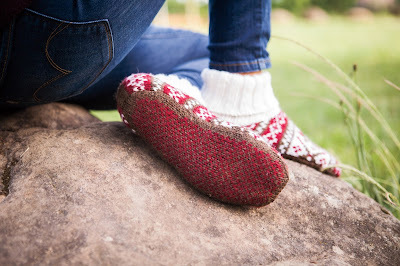 I know it seems a bit odd to be thinking of cozy wool slippers in the middle of summer, but fall is just around the corner. What better way to prepare than by knitting some gorgeous slippers? 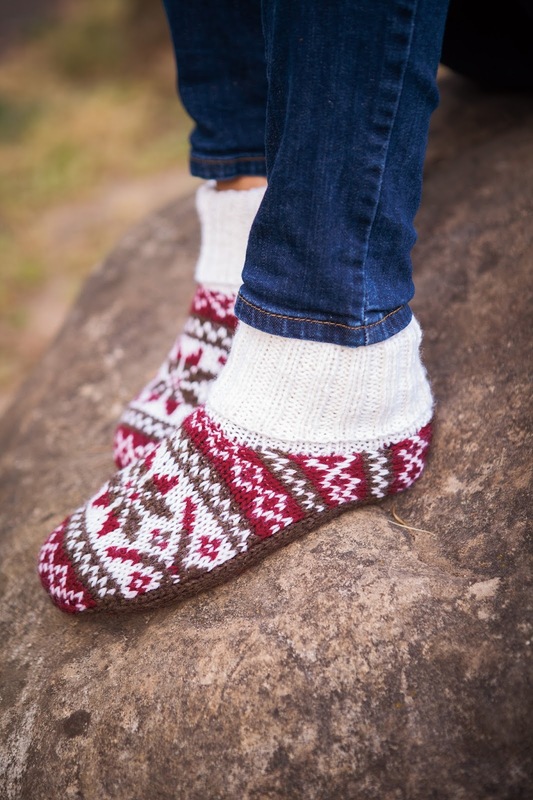 The Frost Slippers are part of the Knit Picks collection Creative Color: 2016 Fair Isle Collection. The tops then the bottoms are worked two at a time with steeks using the Magic Loop method. 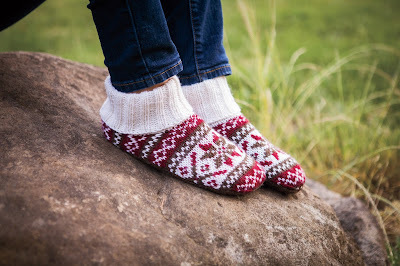 After sewing the slippers together, stitches are picked up for the cuffs. They are a great introduction to Fair Isle knitting without as much commitment or stress as a larger project like a sweater. I've been quite busy working on several patterns in various states of design. Some of them are nearly ready, so there will be more pattern releases soon!